Defend Europe previously accused Sea-Eye, and other groups, of “colluding” with Libyan human traffickers. Yet Defend Europe’s C-Star was itself recently detained in the self-declared Turkish state of Northern Cyprus for document forgery and potential human trafficking of 20 Sri Lankan nationals found on board. Turkish Cypriot authorities deported nine crew members, including the captain, and a German “second captain” alleged to be a neo-Nazi. Volunteers on a German refugee rescue ship say they have been deployed to help a far-right vessel that has become stranded in the Central Mediterranean. Sea-Eye said Italian officials had told their crew that the C-Star, operated by an anti-immigration group calling itself Defend Europe, had suffered a mechanical failure and could not manoeuvre. A spokesperson for the group, which is among those Defend Europe has accused of “colluding” with Libyan people smugglers, said it was on its way to offer aid. Defend Europe confirmed its ship was suffering a “minor technical problem” that was being resolved. “C-Star developed a minor technical problem during the night,” a spokesperson said, saying that its engine was stopped so it could be fixed. “This means that under [maritime laws to prevent collisions] the vessel is considered ‘not under command’ and information was sent out to vessels nearby in accordance with regulations. 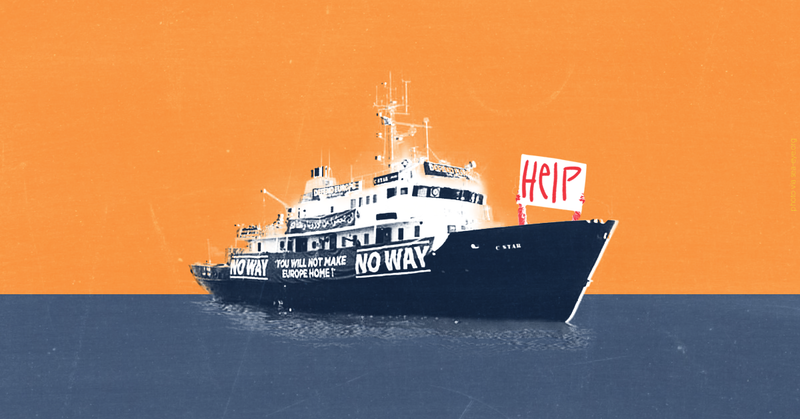 The group, an offshoot of the white nationalist Identitarian movement, crowdfunded its ship with claims it would target “criminal NGOs…that are nothing less than part of the international human trafficking ring”.